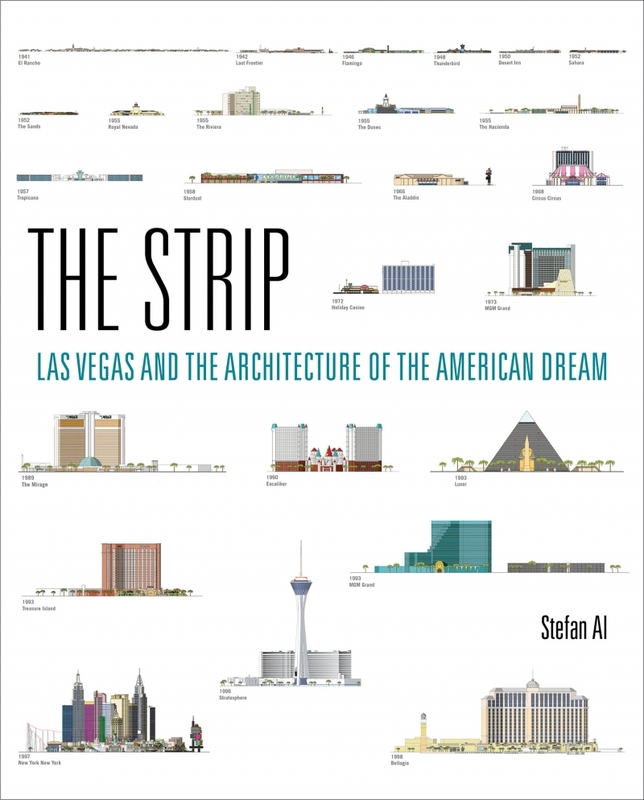 Noted Dutch academic, architect, and urban designer Stefan Al’s new book The Strip: Las Vegas and the Architecture of the American Dream explores the architecture of the Las Vegas Strip as a refraction of American values and modern-day capitalism. In anticipation of the book’s LA launch, hosted by the LA Forum on Tuesday, June 13, the Forum spoke with Al about the unique connections between Los Angeles and Las Vegas. What can Los Angeles learn from Las Vegas and vice versa? Back in the 1940s, Las Vegas learned from Los Angeles how to build car-oriented architecture. The Flamingo Hotel on the Las Vegas Strip, built by the infamous “Bugsy” Siegel, had a facade angled towards the road and a metal pylon with a neon flamingo, both beckoning drivers. It was designed by George Vernon Russell — an architect representative of the “Googie” architectural style, after the Googie coffee shop on the Sunset Strip, in Los Angeles. The Flamingo set a new standard for resorts on the Strip. Since the 1930s, Los Angeles had the country’s largest percentage of single-family home and car ownership. Los Angeles had become the experimental ground for new buildings catering to the car, including drive-in fast-food restaurants. These buildings appropriated their clean lines and curvaceous forms from automobiles, symbolizing the new era of the car. Las Vegas developers like Mr. Siegel eagerly appropriated this new aesthetic and building type, which represented a more exiting suburban lifestyle, to which so many Americans aspired. It helped propel Las Vegas into the glamorous tourist destination of the Rat Pack days. Considering both cities have iconic “strips” within their urban fabric, what are some similarities and differences between them? The fact that the Strip keeps updating itself to the latest fad obviously leads to destruction and waste; on the other hand, it has created innovative buildings and experiences that attract many to the desert. Las Vegas was a ghost town a century ago, but forty-two million people visited the desert city in 2015—ten million more than Paris. The Strip adapted to changing trends with such overwhelming financial success that it has even become a global model for urban development. Macau reclaimed hundreds of acres of the South China Sea, only to build a Las Vegas-style Strip. Even Singapore built its new flagship business district around a Las Vegas-style resort.